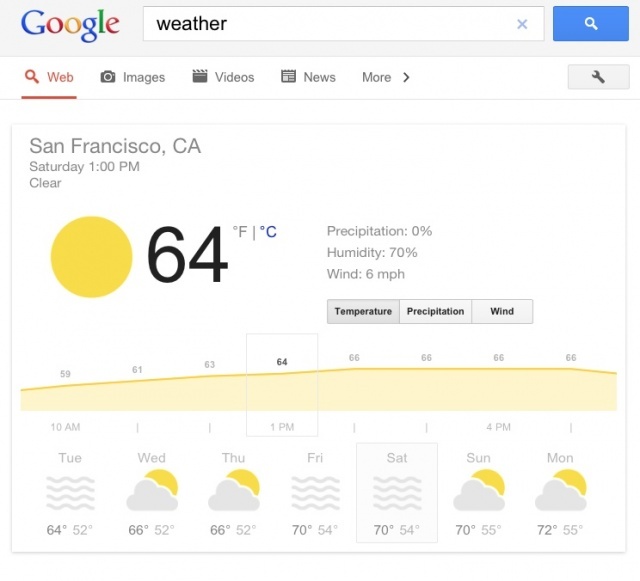 If you’ve recently typed “weather” into Google search on your mobile phone, you may have noticed Google’s neat little interactive weather visualizations. The new weather visualizations give you a look at the current forecast, precipitation, wind direction/speeds, as well as an hourly and ten-day forecast. And now, these same cool visualizations are available in search on tablets. Google, today announced the new feature for tablets, adding a new level of interaction to tablet search as well as giving us a sneak peek at the future of Google search. It’s a little bit of Google Now without the Jelly Bean. This little feature works on both Android and iOS tablets, so give it a try and prepare yourself for the future of Google search.